My reminder that wherever we are right now, it’s beautiful. 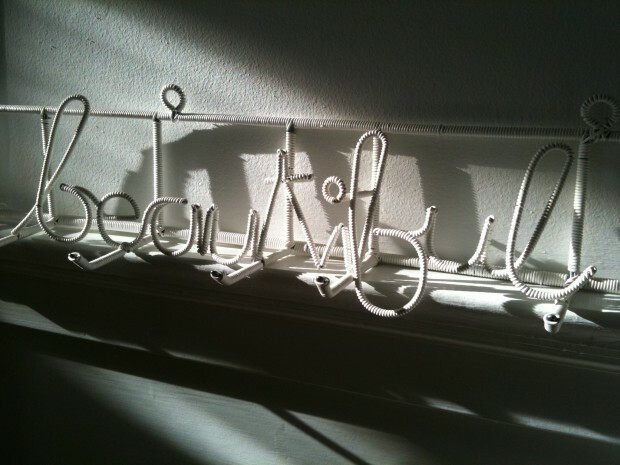 By uber talented South African designer Heath Nash, this is a hanger made out of recycled wires. I bought it almost 12 years ago in Cape Town at his studio, and I cherish it as a piece of art. It is so simple and so full of meanings. It says « it’s beautiful here ». LOVE. HEATH. NASH.